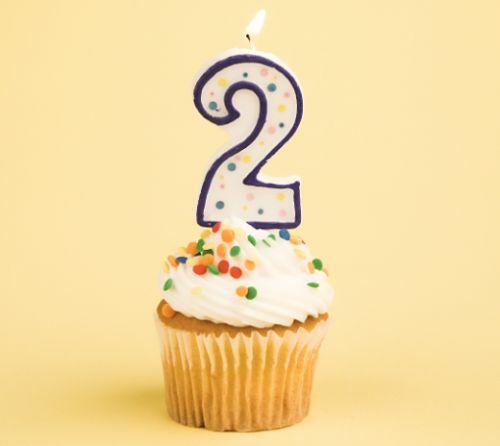 Today marks my two year anniversary as a blogger. Two years ago on this very day, 'RealityLeavesLotsToImagination' was born, and time has flown by. I don't recall what gave my fourteen year old self the urge to create a blog back in November 2012 but I can definitely say I'm so very glad I did. The past two years have been such an adventure and blogging has provided me with so many wonderful opportunities that I'm so grateful for. I've been able to speak and - in some cases - meet some of the loveliest people I know, I've worked with amazing brands and visited amazing places. I do just want to thank all five hundred or so of you, from the bottom of my heart, for taking the time to follow my blog and read my ramblings. It truly does mean the world. "I write a blog" is a sentence I honestly haven't said much over the last two years. Aside from my family and close friends I haven't really told many people about my blog. The reason? I'm not embarrassed to admit that I type out my thoughts three times a week - far from it - I'm just not too keen on having the prying eyes of my peers, teachers and other acquaintances watching over every word I type, comparing the way I present myself through the written word and in 'real life'. To be honest, the persona I share online is far truer to my real self than the one that many of the people I go to school with know as on here, there's no pressure for me to be or act in a certain way. These ramblings are the ramblings of the true me, a vintage loving, hot chocolate obsessed dreamer who'd rather spend more of her time reading a book that out partying. I know at some point I'm going to have to reveal all and openly admit that I do in fact write a blog but, as it stands at the moment, I'm quite content with things the way they are. I'd like this blog to remain my little secret, for now at least. Happy Bloggiversary!!! :3 Good for you, too, for doing so much!